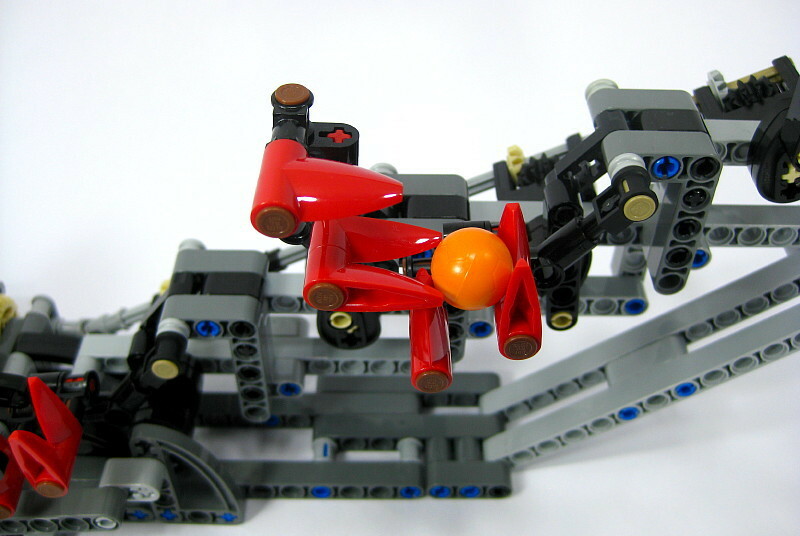 Bidule à Balles (“Ball Contraption” in English) is a compact and ultra-stylish GBC module from Hugolinvh. 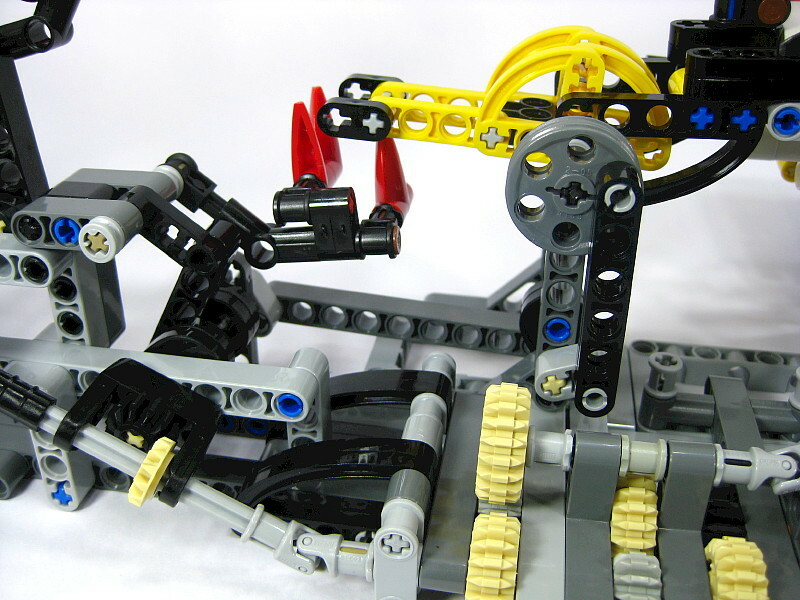 The module uses Bionicle teeth in a very clever manner to pick up your favorite football and basketball balls and take them to the heights of the module. The oscillating table that initiates the course of balls is equally inventive. 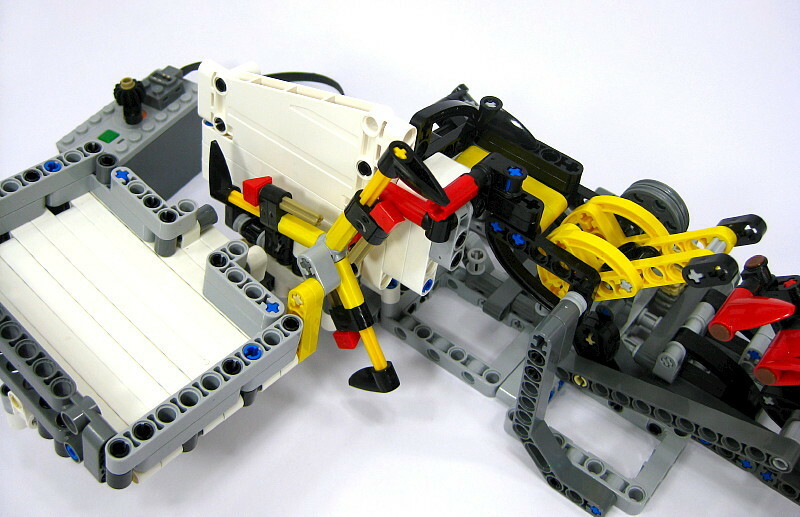 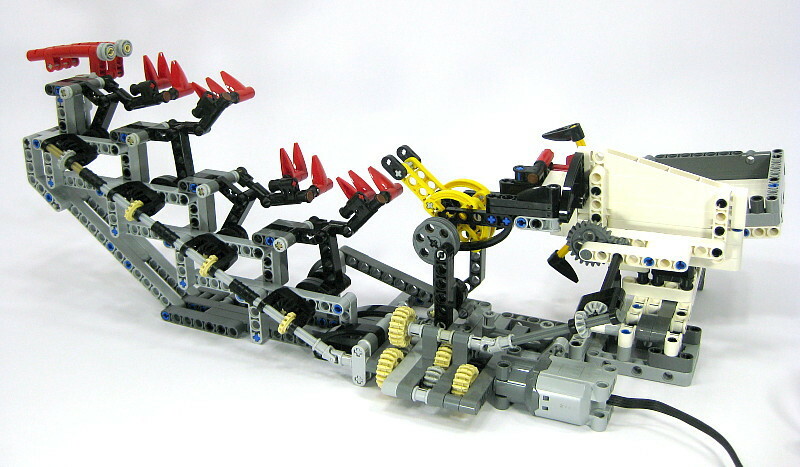 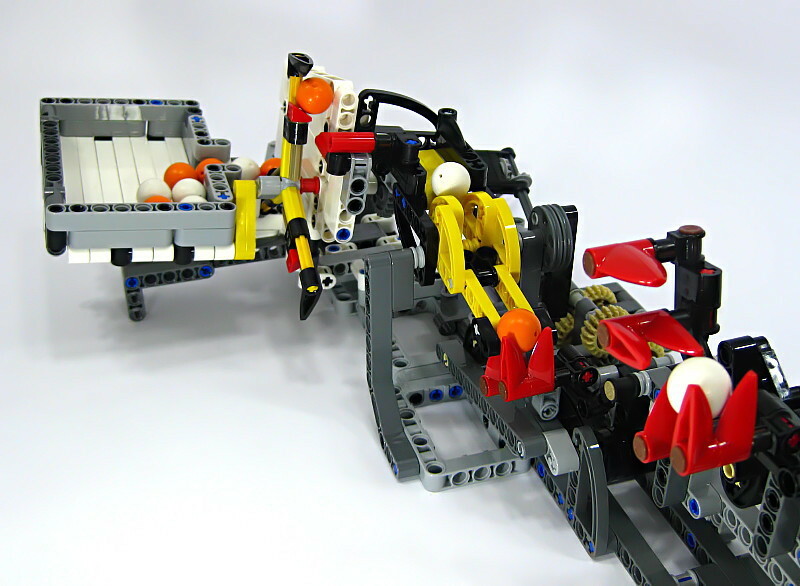 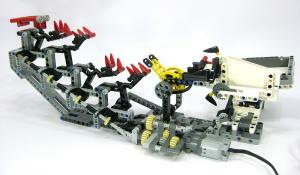 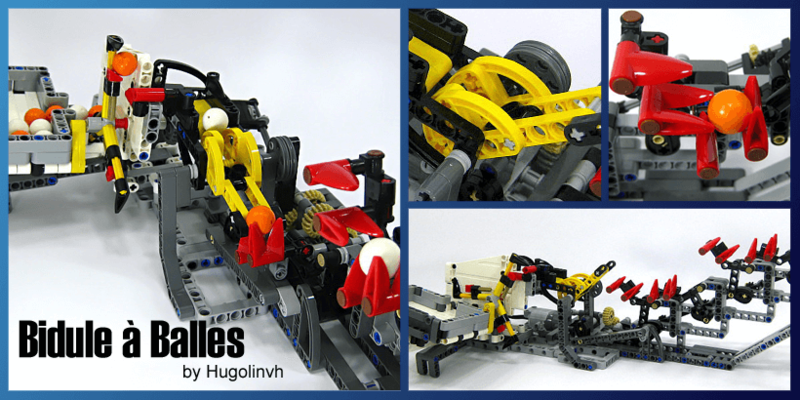 In short, you will love to reproduce this module, which, to spoil nothing, only uses rather common Lego Technic® parts: go for it!